Home Religious Complete Varanasi trip in 48 hours! 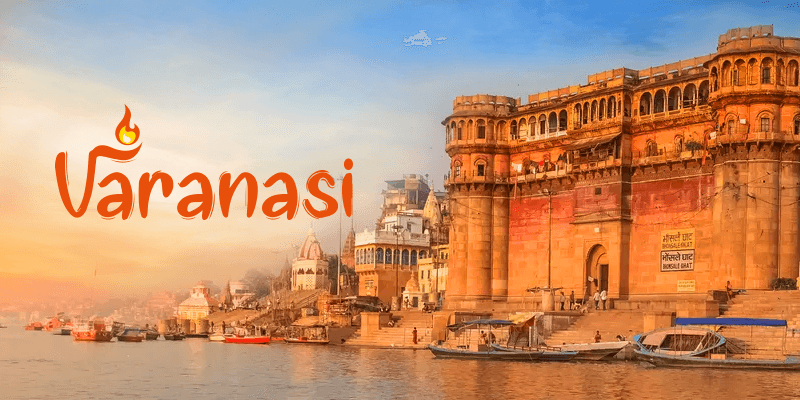 Holy town of Varanasi goes by many names. Some identify it as Kashi, while others still call it Banaras. Situated on the west banks of Ganga, Varanasi city is an important pilgrimage destination for the devout Hindus. Known as the Land of Lord Shiva himself, the city has a history that dates back to over three millenniums. But, in the recent years Varanasi tourism has moved much beyond its temples. While the city still has an old time charm, but it also assures a memorable trip experience for the younger generations. Whether you are on a pilgrimage or looking for some great experiences on a leisure trip – Varanasi would fulfill your cravings. Assi Ghat is one of the most popular ghats of India and the best time to visit it would be shortly before sunrise. So, wake up early and reach the Assi Ghat. Take your place on the steps of this ancient ghat and wait a bit for the sunrise. Rejuvenate your soul as the golden rays of the sun light up earth and this ghat. This visit would be a photographer’s delight, so do not forget to carry your camera along. You can capture scenes such as colourful boats anchored along the ghat, priests and devout Hindus taking a dip in the holy waters, boats in the mid Ganga, etc. Many other photo opportunities would present themselves. After a tranquil experience at the ghat, head out for a typical Banarasi breakfast of Puri Subzi. Quench your thirst with a visit to the Lassiwala near Assi Ghat. You can gulp some creamy fresh lassis and follow it up with steaming hot puris served with a spicy aaloo ki subzi (locally called aloo rassa) at Madhur Milan near Dashwamedha Ghat. 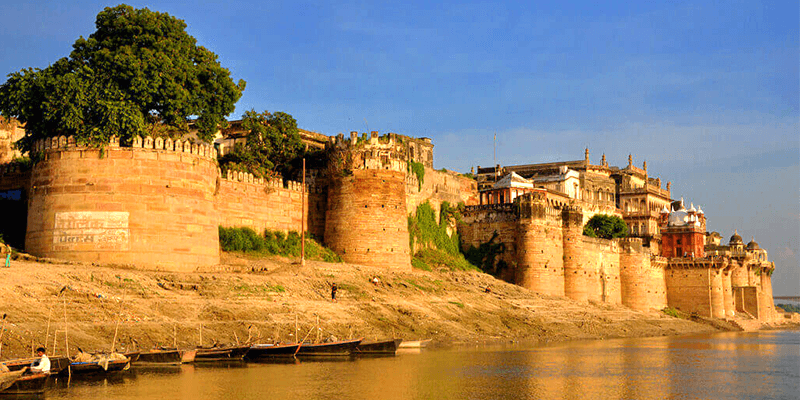 After a fulsome breakfast, visit the Ramnagar Fort, which is nestled on the opposite bank of the river Ganga. The fort is made with red sandstone and stands tall on the Ganga banks. This eighteenth century monument served as the residence for the Maharaja of Banaras. Inside the Ramnagar Fort you can explore various fascinating monuments such as the Veda Vyasa temple, Dakshin Mukhi Hanuman temple, Saraswati Bhawan museum. Sitting within the palace is a huge astronomical clock and beautifully carved balconies. The architecture of this fort and palace is a perfect mixture of Mughal and Hindu style. There is a museum within the fort which contains various artefacts used by the royals such as ivory works, priceless gold ornaments, vintage cars of America, silver works, medieval costumes, etc. Trivia: A month-long Ramlila festival is organized here during Dussehra. Your next stop would be a visit to the nearby holy city of Sarnath (about 45 minutes of drive). Sarnath is of huge religious importance for the Buddhists around the world, as it is the place where Lord Buddha first propagated his religious beliefs about Dharma. 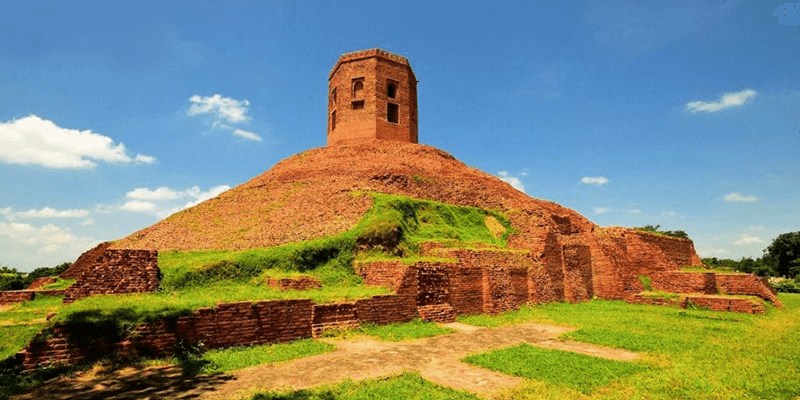 While in Sarnath do visit the Dhamek Stupa, Ashoka Pillar, Chaukhandi Stupa and Dharmarajika Stupa. As you explore these Buddhist monuments, you would realize peace has descended upon your mind! Also do not miss out on viewing some historical exhibits at the Sarnath museum. Head back to Varanasi and stop by at Puran Das Road for a sumptuous lunch at Baati Chokha. The interiors of this restaurant will quickly grab your attention. You will find clay ovens and earthen pots set up, but what is more attractive are the beautiful paintings on the walls depicting the way of life in Varanasi. The delicious aroma of daals and chickpea would make you restless. Sit on the charpoys and try out their litti-chokha and sattu parathas. This place is a must-visit, especially if space and the universe up there attract you. Man Mandir Observatory has astronomical instruments that were used to prepare the solar and lunar calendar, calculate time, keep a track of planets movements and angles. Get lost in space and take a ride of the universe at the observatory! Chaat is a must have snacks while in Varanasi and for the best taste you have to visit to Kashi Chaat Bhandaar near Dashwamedha Ghat. Once at this shop you would be left wondering after witnessing the variety of chaats on offer. While at Kashi Chaat Bhandaar do try their paani puri, tamatar chaat and aloo tikki to pacify your evening hunger pangs. By now the sunlight would have already started to fade and it is the perfect time to visit Dashwamedha Ghat. The crowds descend upon the ghat to witness the spectacular Ganga Aarti. Hundreds of enthusiastic people wait on the stairs of the ghat, while many others line up in boats to attend this special aarti. The colours, grandeur, energy and vibe of this event will awe you. Timings: 6 PM during winter months, 7 PM during summer months. Tip: Try to reach 90 minutes prior to the aarti if you want the best views. After experiencing the splendour of the aarti, it is time you indulge in local shopping. You can lay your hands on some of the finest Banarasi sarees and ornate jewellery at the local markets here. You can also buy shawls, bangles, carpets, idols of gods and goddesses and stone work items. 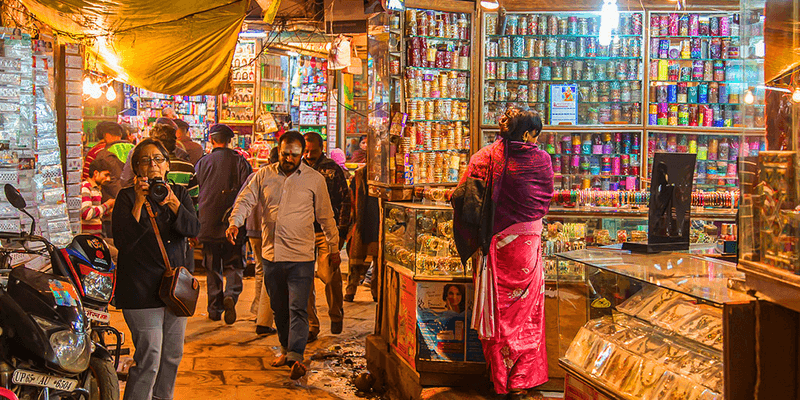 The best markets in Varanasi include at Vishwanath Lane market, Thateri Bazaar, Chowk and Godowilia. The Lotus Lounge at Mansarovar ghat is a perfect spot for chilling and unwinding after a tiring day. It is an open-air restaurant giving an incredible view of Ganga. The place is known for its delicious dumplings, Thai curry, ravioli and gazpacho. 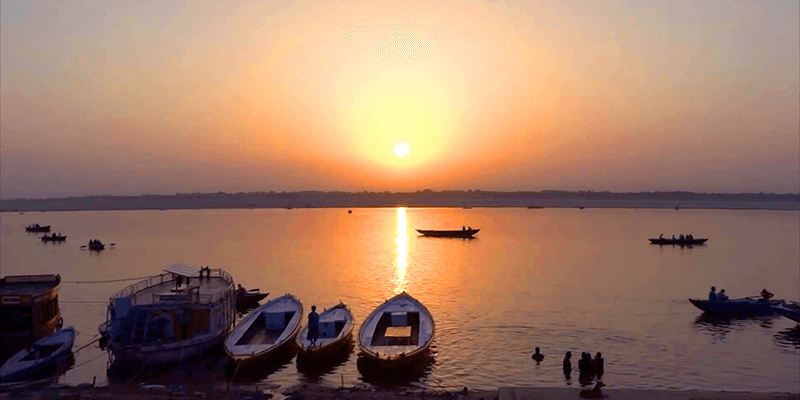 Sitting on a boat and watching the sun rise is perhaps one of the best things you will experience in Varanasi. To witness this spectacle, wake up early and head towards the Ganga Ghat. The city of Varanasi is abuzz by 5 AM and you will find many boatmen offering you a Ganga tour. Boat rides are normally an hour long affair and take you to the middle of the Ganges. 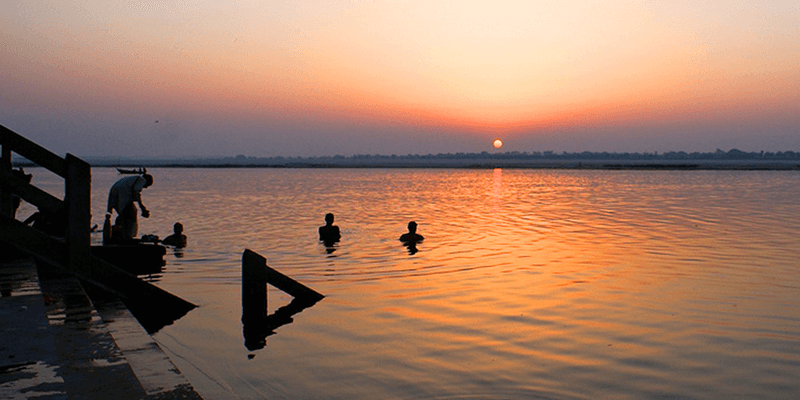 Watching the sun rear up its head in a boat floating in the middle of the Ganges is an experience that will stay glued in your mind for a lifetime. After the long boat ride, you must be craving for a good breakfast. Visit Thatheri Bazaar and there you will find Ram Bhandar. This place serves the yummiest kachoris in town. Kachoris taste heavenly with the accompaying channa curry. Finish the meal with some hot jalebis. Devout Hindus believe that a dip in the holy Ganga River at Varanasi rids one of all the sins committed in life and provides Moksh (salvation) to the soul. According to the Hindu mythology, Lord Shiva released Ganga in the form of a river to give salvation to people. If not for the religious sentiments, do take a dip in Ganga for the thrill of it! You can choose among 84 ghats bathing ghats spread across the city. Your visit to Varanasi cannot be held complete without a visit to Kashi Vishwanath Temple. And after the holy dip, this is the perfect place to head towards. This temple, over the centuries, has become the focal point of Varanasi tourism. It is considered to be the holiest temple of North India. It embodies you in divine mysticism and charms you. 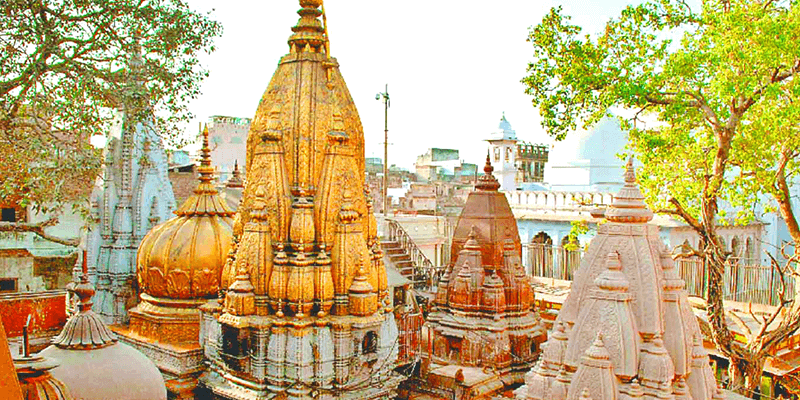 Kashi Vishwanath temple is easily accessible from any part of the city. The lane leading to the holy temple is filled with colorful shops selling all types of religious items. Passing through this lane sets up the tone ideally for what is to follow. Situated in the Chaukaghat area of Varanasi, this traditional restaurant welcomes you with an ambiance of clay ovens, stewing aromatic dals and roasting fresh chickpeas. You have the choice of lounging on charpoys. Make the most of your experience here and taste their Sattu parathas, and litti chokhas for an authentic taste of Bihar and Uttar Pradesh. After a hearty meal, visit Blue Lassi Shop to taste the creamiest lassi in town. The lassi is served in little matkas and they make a wide variety of lassis with fruit blends and syrups. If you want to buy the best Banarasi silk sarees at affordable prices head to the village of Madanpura. This is the village of expert weavers and for generations they have been crafting beautiful Banarasi sarees. As you walk through the narrow lanes, you will find some small huts, double story set ups and some newly renovated places where weavers make Banarasi sarees. 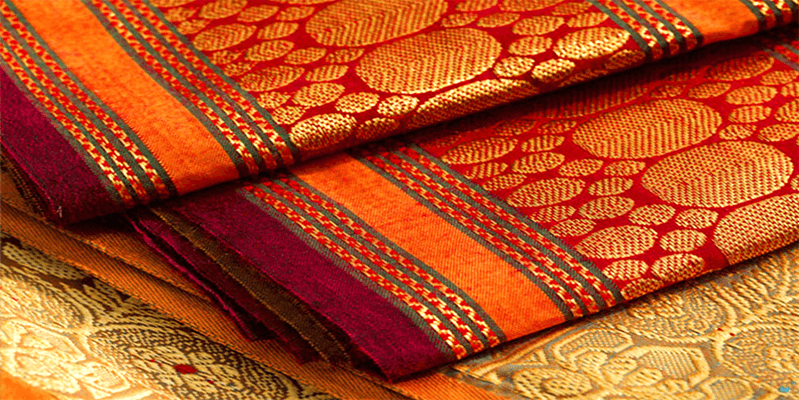 Do care to spend some time at a small weaver’s hut and learn a trick or two about weaving the finest sarees in India! Rich Zari borders, intricate detailing, fine weaves, you will get it all here. After you have purchased your favourite Banarasi saree, it is now time to visit Laxmi Chai Wale for some tea and their special butter toast (safed makhhan toast). 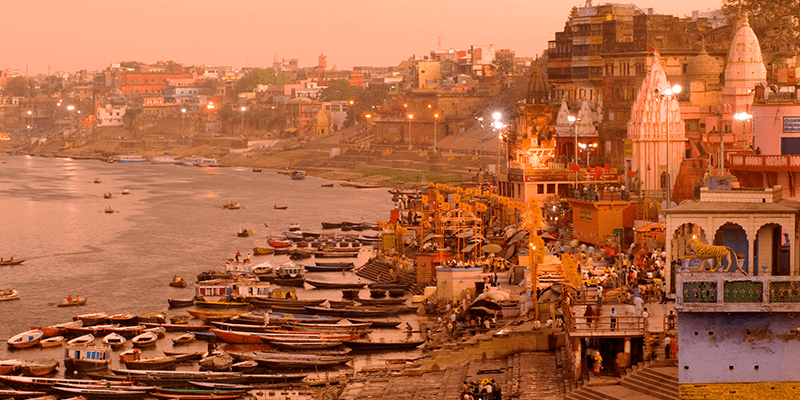 End your sightseeing by taking a leisurely stroll along the ancient ghats of Varanasi. There are plenty of ghats in this city and each has a different role to play. 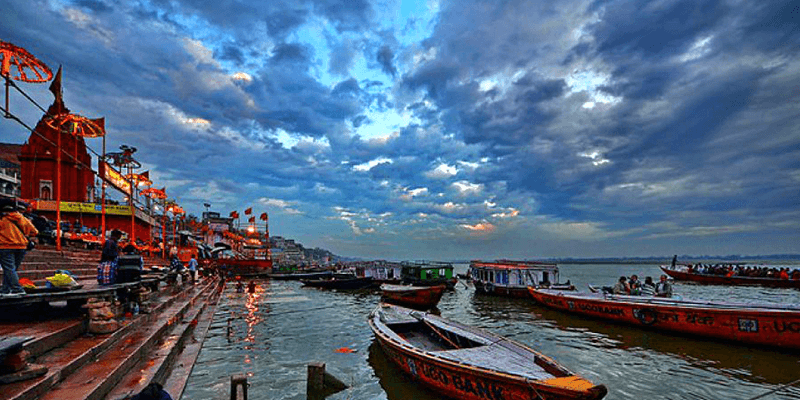 Some of the well-known ghats of Varanasi are Dashwamedh Ghat, Assi Ghat, Mata Anandamai Ghat, Manikarnika Ghat, Munshi Ghat, Raj Ghat and Scindia Ghat. 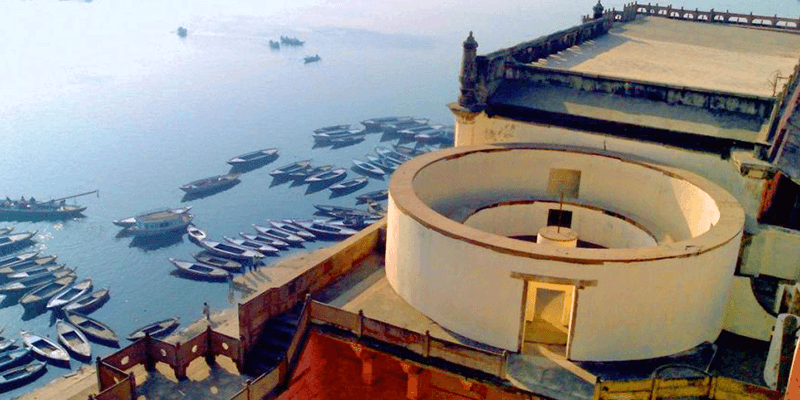 Simply taking a long stroll of the ghats gives you an essence of this ancient city. After taking a stroll along the ghats and enjoying the visual treat of Varanasi Ganga Aarti, you can sit back and enjoy the best Italian food at Pizzeria Vaatika Cafe situated near Assi Ghat. They have a terrace sitting arrangement that overlooks river Ganga. 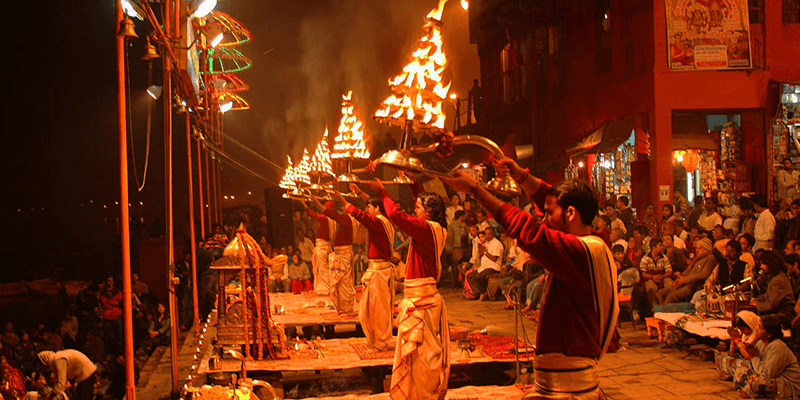 As you can well understand, there is plenty to do and see in Varanasi. Are you already planning a quick 48 hour trip to this ancient city? Book Varanasi tour package through RailYatri. Next articleAll you need to know for a perfect Bandhavgarh trip!